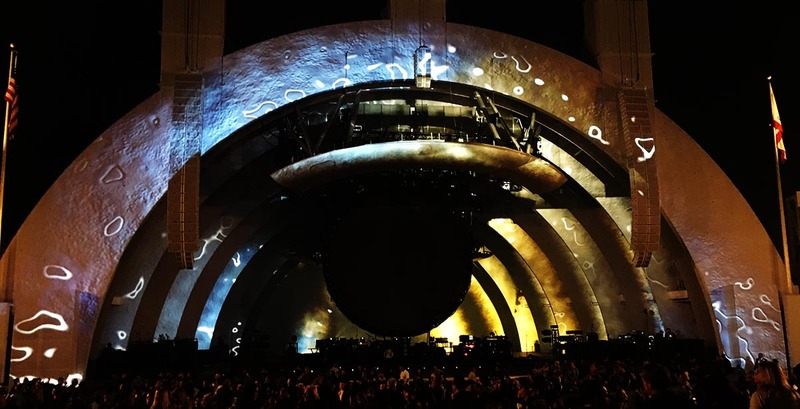 David Gilmour, of the legendary Pink Floyd, came to play the Hollywood Bowl in Los Angeles in 2016, the first time he has played the venue since Pink Floyd played there in 1972. 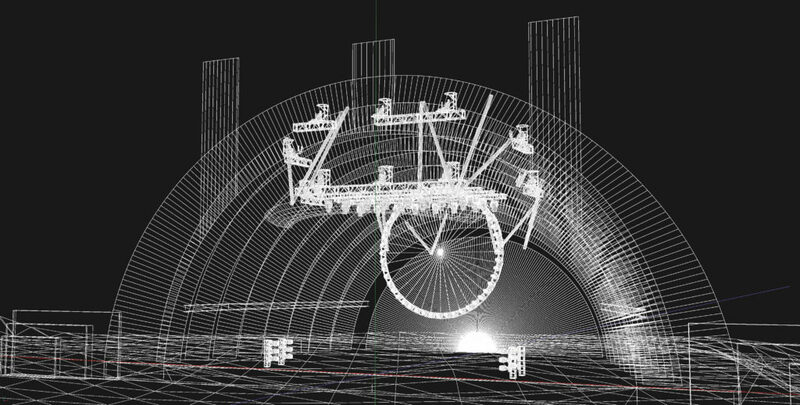 For the occasion, Marc Brickman, long time lightning designer for Pink Floyd, decided to projection map the bowl with nearly 30 high powered projectors. [namethemachine] was honored to be included in the creative and technical team that facilitated the mapped imagery played throughout the show. Working with Strangeloop Studios and VER, [namethemachine] created a technical mapping template to guide the workflow of the various animators and editors working on the media. We also created a preview system so each piece of media was accompanied by an easy to view preview of the resulting map result in 3D. Peter Sistrom led the technical content workflow, coordinating between the production team and the animation team. 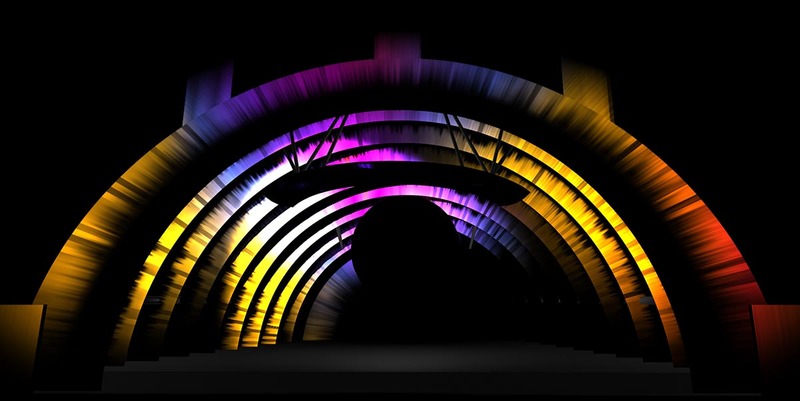 In addition to technical workflow guidance, [namethemachine] also provided a large set of mapped animation to the media catalog which were showcased during songs such as “Sorrow” and “Comfortably Numb” as well as a sneaky, illusionary and psychedelic piece for the setbreak of the show.